Lions Gate is a residential neighborhood in Wilmington, North Carolina. 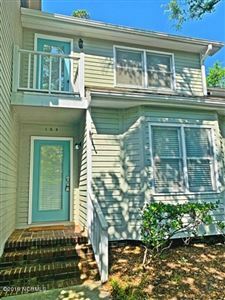 Located just before the Wrightsville Beach Bridge, this community provides easy access the warm sands at Wrightsville Beach as well as nearby attractions at Lumina Station and Mayfaire Town Center. Each townhome measures about 1,100 to 1,500 square feet with 2 to 3 bedrooms and bathrooms. Click on the listings below to see pictures, features, amenities, school information, and more. Interested in viewing a home or have questions? Please don't hesitate to contact us. We can help you with this community or any other in the Greater Wilmington real estate market.